These petri dishes come in a variety of sizes for use in routine procedures and with automated equipment. Economical, optically clear dishes are precision-molded from biomedical grade polystyrene so cultures are clearly visible without distortion. Packaged in heavy-wall polyethylene sleeves. (Not for tissue culture application). 100 mm x 20 mm Petri Dishes (D210-7): For unimpaired observation of specimen growth with raised straight ridge around top for stable stacking. 100 mm x 20 mm Petri Dishes w/ Venting Ribs (D210-7WL): Has 3 venting ribs on the underside of the lid to prevent condensation build-up. 100 mm x 25 mm Petri Dishes w/ Venting Ribs (D210-8):Accommodates deeper fills for longer culture periods. Used for fungal cultures, plant propagation. Has three venting ribs on the underside of the lid to prevent condensation build-up. 100 mm x 25 mm Petri Dishes (D210-8R): For use whenever a small quantity of culture is desirable. For unimpaired observation of specimen growth with raised straight ridge around top for stable stacking. This dish has 3 venting ribs on the underside of the lid to prevent condensation build-up. 50 mm x 8 mm Petri Dishes (D210-14): Box type dish, for classroom studies, water studies, culturing of mycobacteria, aerosol testing, membrane filter and immunodiffusion techniques. Tight lid prevents sample dehydration. Economical, optically clear dishes are precision-molded from biomedical grade polystyrene so cultures are clearly visible without distortion. Available in a variety of shapes and sizes for use in routine procedures and with automated equipment. 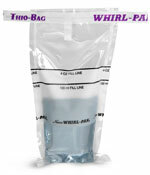 Packaged in heavy-wall polyethylene sleeves in packs of 20 dishes. 35 mm x 10 mm Petri Dishes (D210-15):For small quantities of culture media. For unimpaired observation of specimen growth with raised straight ridge around top for stable stacking. This dish has 3 venting ribs on the underside of the lid to prevent condensation build-up.